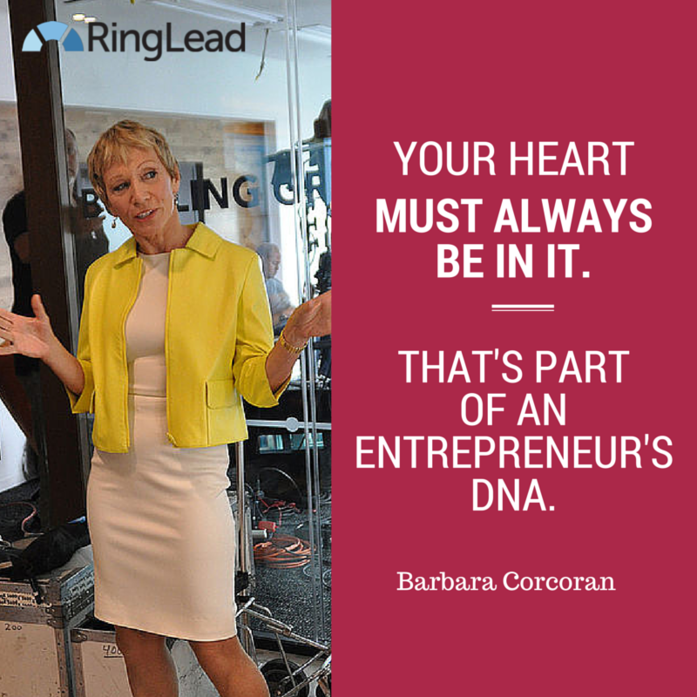 I had an inspiring Thursday afternoon after listening to a recent Nextiva webinar featuring Barry Moltz and entrepreneur, millionaire, business owner, and star of ABC’s Shark Tank, Barbara Corcoran. In the interview portion of the webinar, Barry Moltz asked Barbara for insights on small business growth. The conversation covered hiring, culture, balancing work and life (note that latter is nonexistent, according to Barbara), and much more. Listen to it here, and check out some of the top quotes from the webinar below. In addition, join us and fellow Shark Tank star, Kevin O’Leary, at the sales development conference, Drive, on May 7th at 5pm, for even more insightful qotes. Join fellow Shark Tank star, Kevin O’Leary, and RingLead at the sales development conference, Drive, on May 7th at 5pm. Register today! Get more tips for growing your small business with the free RingLead ebook below.